The “Lady Mary” is a mesh, cotton sun hat that’s perfect for tea parties or trips to the beach. The brim can be shaped into at least 4 different styles, and looks great on ladies ages 6 months through adult! The pattern is easy and works up very quickly. 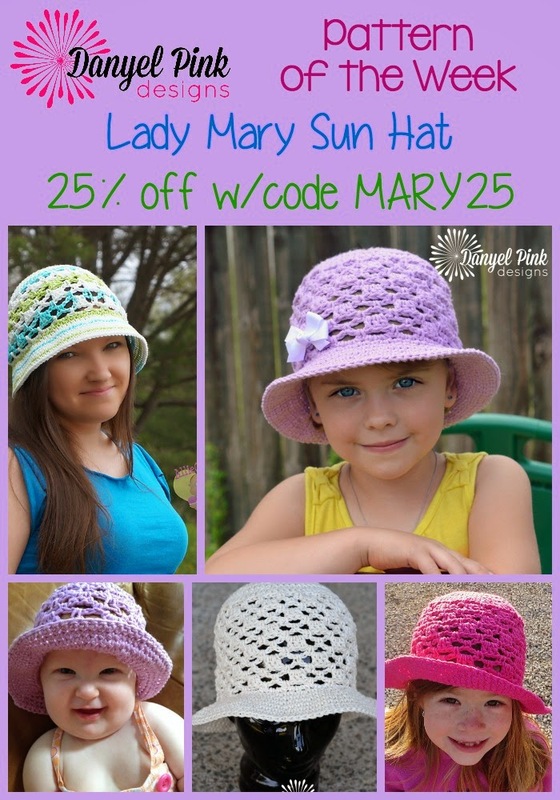 Snag your copy of the Lady Mary Sun Hat crochet pattern for 25% off with coupon code MARY25 through Friday night.